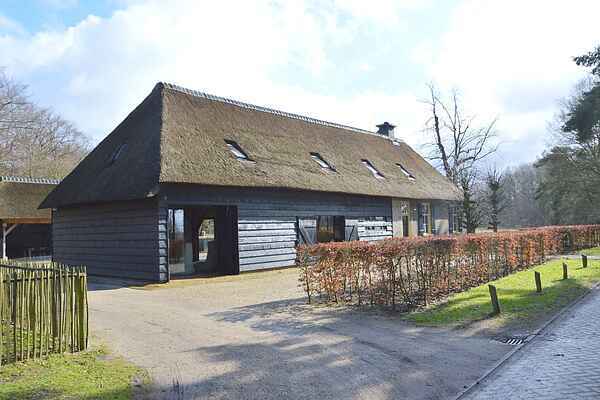 This attractively renovated farmhouse from around 1700 is located in the beautiful Brabant landscape, at the edge of a forest just outside the village of Ulvenhout. The Ulvenhart estate extends over 9.3 hectares between forest and meadows. The two farms on the estate offer many options for a commercial or recreational stay. You can leave everyday hectics behind you and enjoy peace, space and a grandiose fiew from the spacious sitting room. Through the use of calming earth tones and many natural materials, you will have optimal enjoyment of your accommodation. "The world stops revolving in Ulvenhart"